One of the Largest 5k Payouts in Northern Indiana! $150.00 for first place and $25 For second place. $20 for early birds, $25 after May 18th, t-shirt dead line is June 1st. Gear runners are running for a traveling trophy ax to be displaed at your home station. 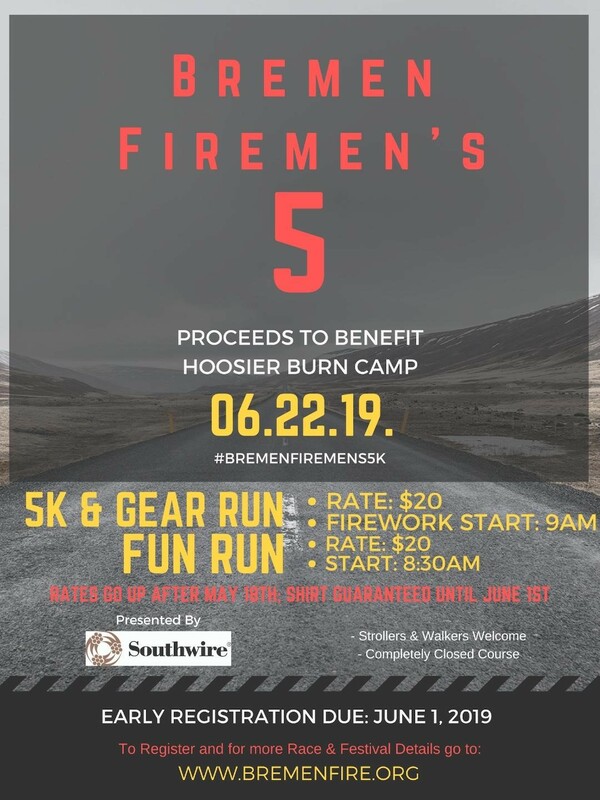 100% of additional pledged money will directly to the Hoosier Burn Camp for Kids! Any Questions? Contact the Race Committee! Strollers Now Welcome! NEW designated starting area!